Author/Opus: This is the 4th puzzle from guest contributor Swaroop Guggilam. 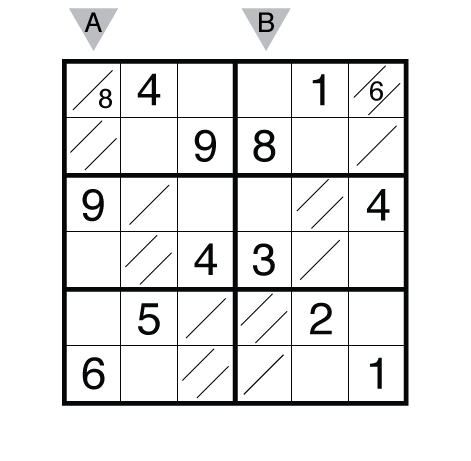 Rules: Variation of Tight Fit Sudoku rules. Some cells have multiple slashes; the digit above any slash must be smaller than the digit below the same slash. The range of this puzzle is 1-9. 4:20.Nice sudoku.Sticky at the start and after the first few deductions fell superbly into place.